Overview & specs of Braun IPL Silk Expert and Sonic Body Exfoliator by Littlewoods. Braun Silk Expert 5009 IPL For Body Braun Silk-expert IPL BD 5009 - Permanent visible hair removal at home for body & face + sonic body exfoliator. 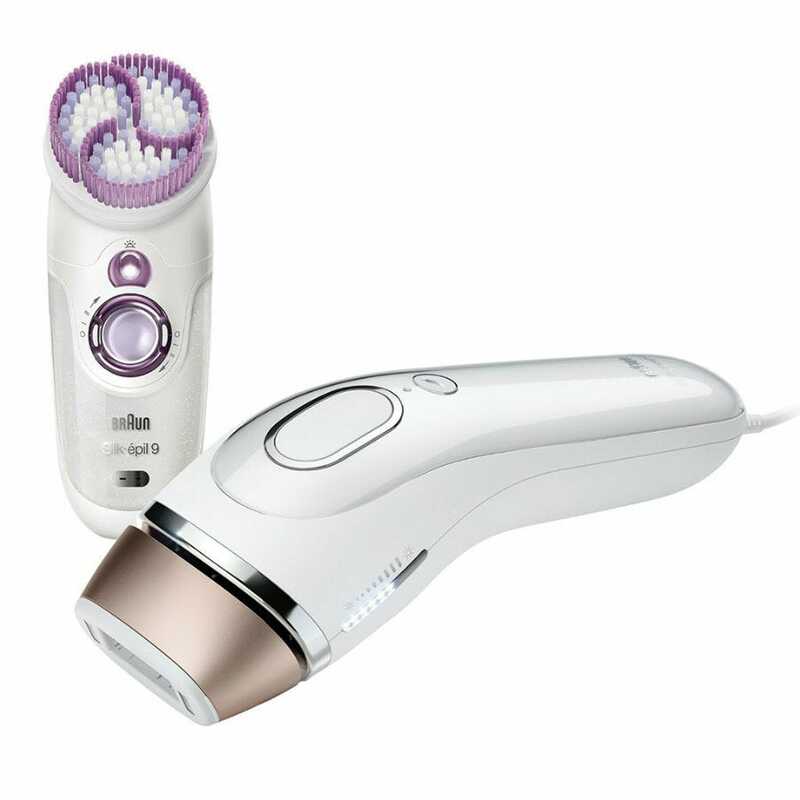 Derived from professional light technology, Braun Silk-expert Intense Pulsed Light (IPL) is clinically tested for permanent visible hair removal. The only IPL with an intelligent SensoAdapt™ skin tone sensor to continuously read your skin tone and adapt the light intensity for the most effective, safe treatment. 94% of women experienced noticeable results after just 3 months. 89% of women experienced noticeable visible hair reduction, even 12 months after the last treatment. Fast & precise treatments.Gliding mode provides a quick and efficient treatment of larger areas such as legs. An integrated skin contact sensor ensures that smaller treatment areas like the upper lip can be treated precisely. Gentle mode. First time users can select the gentle mode which uses a lower light intensity. It is also ideal when treating sensitive areas such as the bikini line or under arms. 120,000 flashes.Provide full body treatments for up to 6 years, or up to 14 years on smaller treatment areas such as the lower legs, underarms, and upper lip Non-stop power.Silk-expert IPL requires no batteries or charging. It can be used at full power with no interruptions. There are no bulbs or gels to change - simply plug in the device and begin treatment. The only IPL with an intelligent SensoAdapt™ skin tone sensor The fastest IPL technology allowing you to treat legs or arms in just 10 minutes Uniquely designed for easy use even across hard to reach areas. No charging, no gels or lamps required Includes a sonic body exfoliator to gently exfoliate the skin for a silky, smooth feel Fast & precise treatments Gentle mode: Ideal for first time users 120,000 flashes. We are comparing prices for Braun IPL Silk Expert and Sonic Body Exfoliator in new condition sold by Robert Dyas, Littlewoods, Very.co.uk.